Capitol Land Trust’s collaboration with the Steamboat Conservation Partnership has resulted in the conservation of 34 acres on Totten Inlet, one of the most significant shorebird habitats in Washington’s inland marine waters. 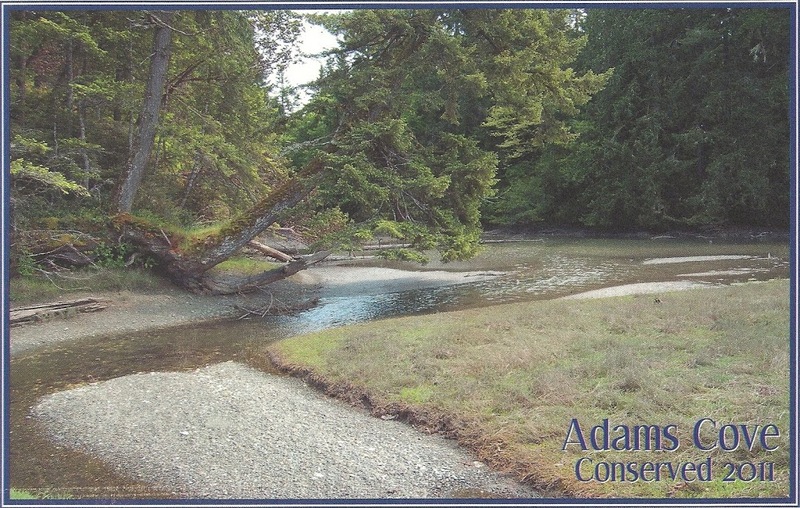 The purchase includes a small pocket estuary and 1400 feet of undeveloped shoreline on the Steamboat Island Peninsula known locally as Adams Cove. Most of the new preserve is covered by mature forest, about half of which is forested wetland. Several small freshwater streams flow into the estuary. The tireless dedication of Gayle Broadbent-Ferris directly resulted in Capital Land Trust’s efforts to acquire this spectacular property. We are forever indebted to her encouragement. The Capitol Land Trust thanks their partners who made this project possible: Washington Department of Ecology, U.S. Fish & Wildlife Service, Washington State Salmon Recovery Funding Board, Taylor Shellfish Farms, Squaxin Island Tribe, Steamboat Conservation Partnership, Dave & Joanne Schuett-Hames, WRIA 13-14 Lead Entity Coordinator, ADESA Environmental Services, Michael & Lorrie Asker, William & Bonita Asker, Michael & Tracy Evans. Click here to read The Olympian’s coverage of the purchase. Click here to learn more about the Steamboat Conservation Partnership and how your support will help to identify and conserve habitat right here, in our own neighborhood.